After closing the original Union Square Cafe in December due to rent hikes, Danny Meyer is revealing his update of the highly successful fine-dining model tomorrow in New York City. The decades-old concept features a more contemporary design, but regulars will recognize some features from the old location. 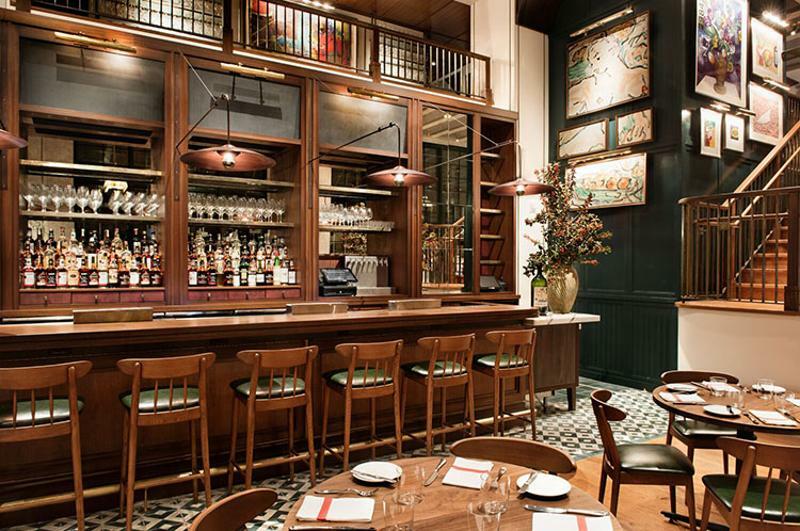 Here’s a look inside the revamped Union Square Cafe. The new space comes with some additions. 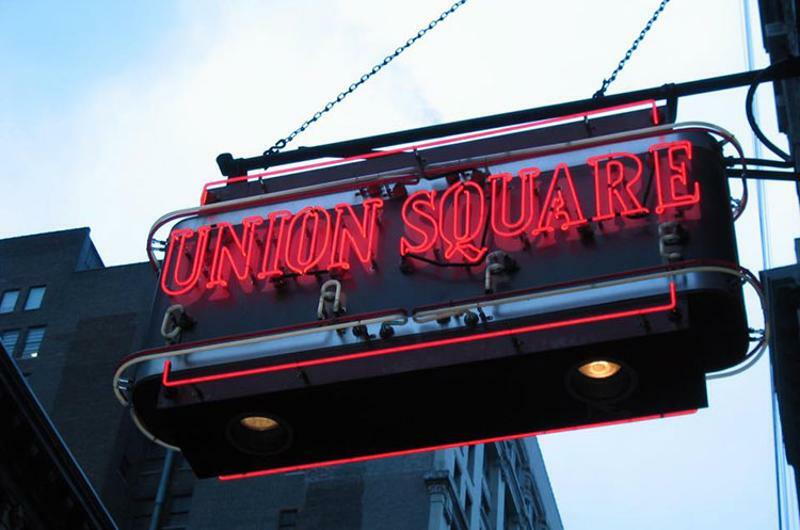 Union Square Cafe now houses two bars instead of one, and has two private event spaces that can seat up to 40 people. 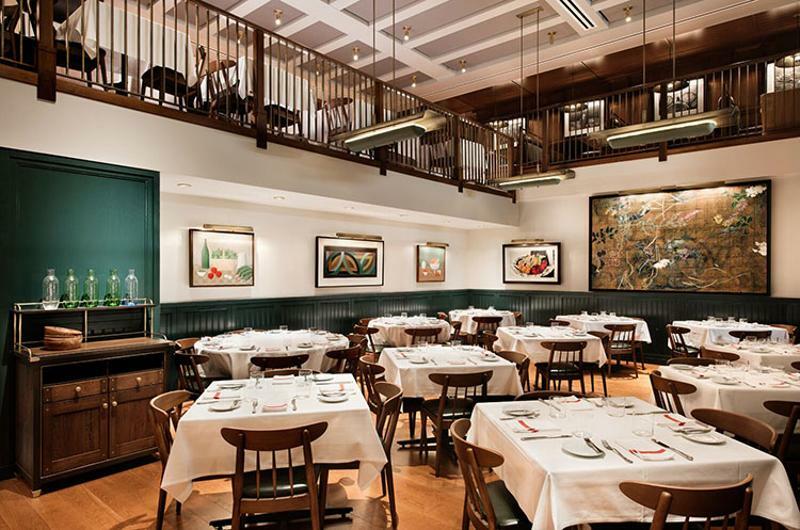 No longer what The New York Times characterized as “a deteriorating rabbit warren,” the revamped restaurant is nearly double the size of the original. The 10,000-square-foot space features double-height ceilings and windows for a light, airy feel with lots of natural light. The first floor contains a 95-seat dining room and 15-seat mahogany bar, while the second-floor mezzanine houses the private dining rooms, the second bar and a 10-seat alcove table overlooking the first-floor bar. The entrance features a canopy reminiscent of the original restaurant’s, along with the iconic Union Square Cafe neon sign. The upstairs bar contains a section of the original bar, and some of the original artwork can be seen throughout the restaurant mixed with some new paintings. 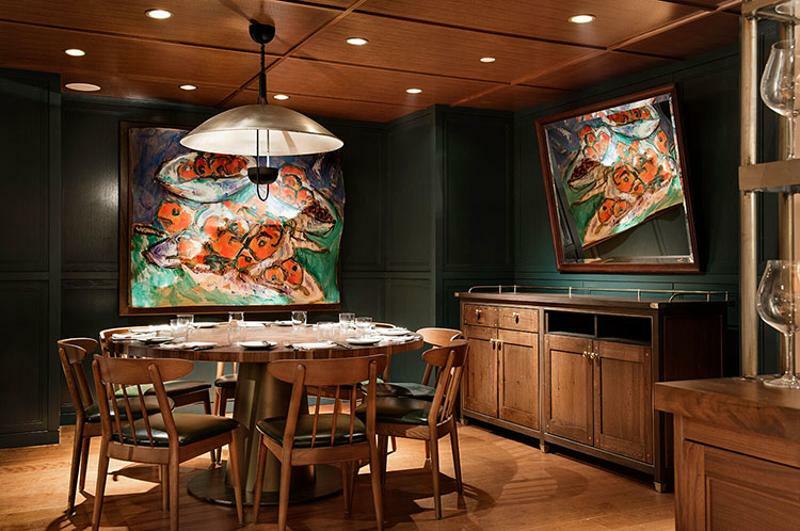 The design still contains the same dark woods and green tones, with dark green wainscoting, chair bottoms and booth backs. One of the most talked about new features of the revamped Union Square Cafe isn’t part of the design, but the employee uniform. 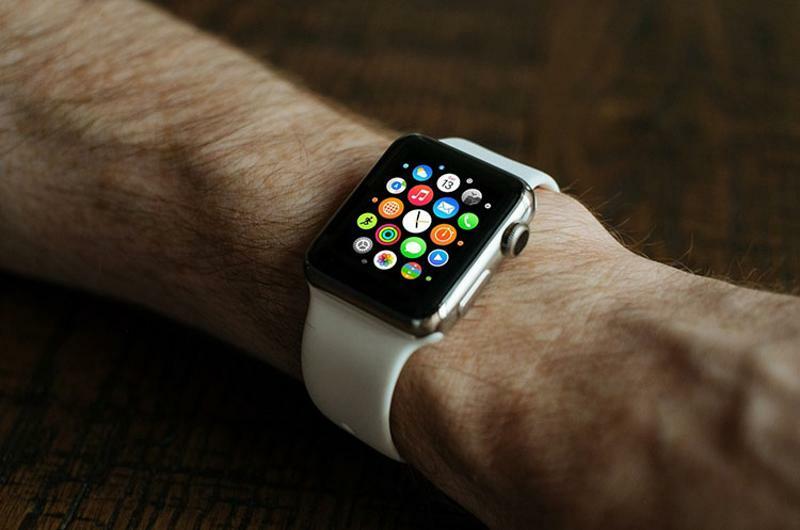 Select staff members—including managers, hosts and sommeliers—will wear Apple Watches to receive real-time information via the reservation service about their customers, such as the arrival of a VIP guest, frequent diner info and service complaints. Another modern feature not at the original restaurant: Danny Meyer’s tipping strategy. Like his other restaurants, Union Square Cafe will have a no-tipping policy. The revamp also includes a new concept, located adjacent to Union Square. Opening early next year, Daily Provisions is an all-day grab-and-go concept serving seasonal sandwiches and salads. Coffee, tea and pastries provided by an in-house bakery will be served at breakfast, while craft beer, wine and batch cocktails will be available on draft later in the day. The small space (described by Union Square Cafe as a “tiny alcove”) will feature two tables during the day that will be combined into one large communal table for the evening.